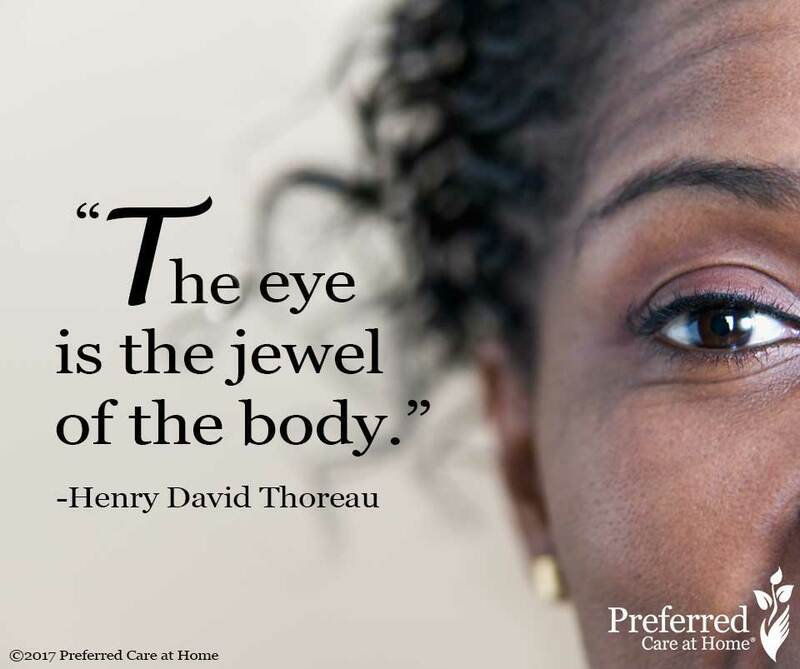 Henry David Thoreau once wrote that “The eye is the jewel of the body.” Just like an owner of a precious jewel will take careful steps to ensure the safeguarding of that jewel, we too should do everything necessary to preserve and protect our eyesight and clear vision. In particular, the month of June is set aside to raise awareness about cataracts, a prevalent eye condition that often has a simple solution. Here are answers to three common questions about cataracts. What is a cataract and how big of a problem is it? When light enters the eye, one of the structures it passes through is called the lens, which focuses light onto the retina. The function of the lens is critical for having clear vision. As we age, the lens can become cloudy and cause one’s vision to become blurry. If this occurs in both eyes at the same time, blindness will occur. In the United States, over 20 million individuals suffer from cataracts at any given time. This represents about 17% of adults over the age of 40. It is very likely that you or someone you know has experienced cataracts at some point in his or her life. Is there anything I can do to prevent getting cataracts? Yes and no. One of the main risk factors is increasing age, which of course we have no control over, however hard we may try. However, tobacco use and type 2 diabetes has been associated with an increased risk for cataracts. Kicking the tobacco habit for good and keeping your blood sugar in the normal range will decrease your risk for cataracts, in addition to providing many other health benefits. What is the treatment for cataracts? In short, cataract surgery is often the best treatment and is highly successful. In general, it is a safe procedure that is performed over 3 million times in the United States each year. If you or a loved one is interested in cataract surgery, discuss this decision with your primary care provider and he or she can help determine if you are able to undergo surgery and will also point you in the right direction if you need to find an eye doctor. This June, take a moment to ask the loved ones around you about their vision and if they have noticed any worsening blurriness. Make sure they are making their regular doctor’s appointments, as cataracts are often noticed during a routine medical exam. Together, we can raise awareness about cataracts and offer help for those who need it most.